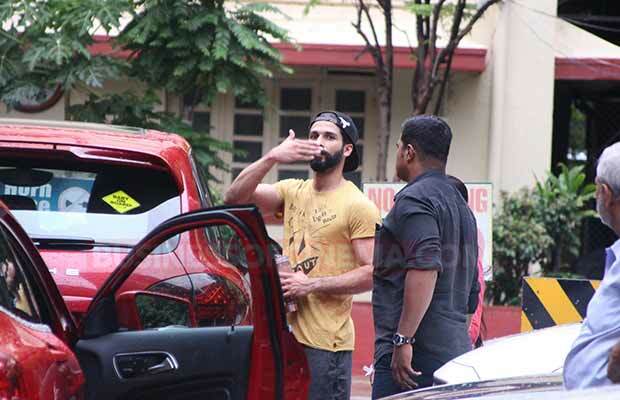 Shahid Kapoor was all smiles when he saw his little daughter who came to the gym to pick him with momma Mira Kapoor. 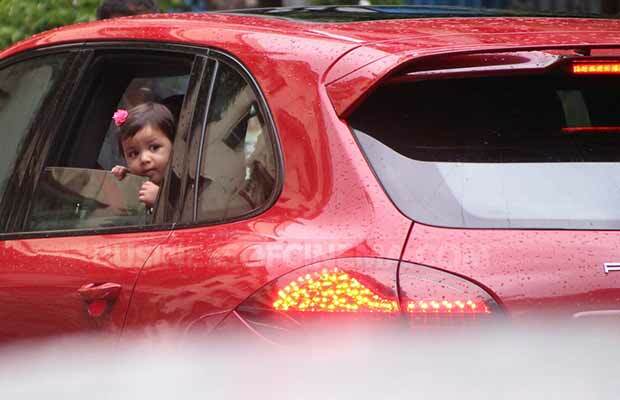 Misha Kapoor is among the cutest kids of the young star kid generation. Earlier, it has been reported that the star kid is very fond of the paparazzi and is a pro when it comes to posing for the shutterbugs. 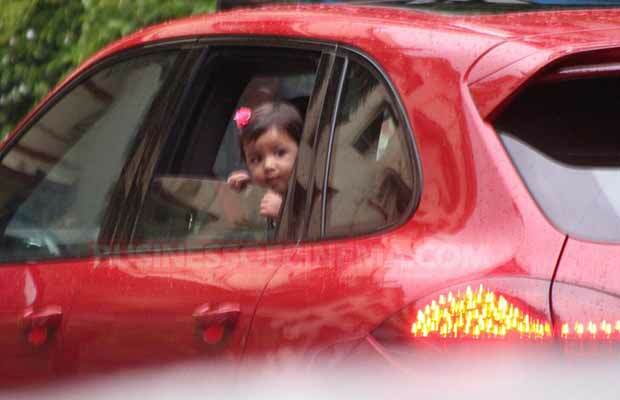 Misha has been seen at various ‘baby’s day out’ with mom Misha Kapoor. Even though the young cutie-pie is not seen much with her father Shahid Kapoor due to his busy schedule, the closeness between the father-daughter duo is visible. It is believed that the actor is a doting father to his kid and loves her beyond anything. Currently, the actor is busy with the shooting of Padmavati and is continuously seen at the gym to get in perfect shape for his role. So, due to his daily routine, the paparazzi gets him clicked very often. But, this time the paparazzi were in a surprise when they spotted the actor’s daughter Misha outside the gym who came to pick her father to home. The actor was pleasantly surprised to see his daughter and his happiness was evident when he posed for the shutterbugs while he is used to ignoring the flashes. Daddy Shahid even made sure that the camera flashes don’t create any problem for his little princess as he made sure to cover her daughter’s eyes to protect them from the flashes. Watch Video Baby Misha And Mommy Take The Internet By Storm!